Admissions to Deeplish Primary Academy are managed by the Academy. Admissions for places to Reception for 2018 and 2019 are managed by Rochdale Local Authority.  If you would like a place at Deeplish Primary Academy then please contact the Academy office. Deeplish Primary Academy has a published admission number (PAN) of 60 pupils. Where pupils have a Statement of Special Educational Needs or an Education, Health and Care Plan that names a specific school, the Governing Body has a statutory duty to admit those pupils. This means that children with such a Statement of Special Educational Needs will be allocated a place before any other places are allocated. The policy of the Governing Body is to admit pupils, on demand, up to a school’s Published Admission Number. Exceptional medical needs must be supported at the time of application by a letter from a GP, hospital consultant or other medical professional indicating how a pupil’s medical condition relates to the school preference. On receipt of the medical certificates/letters the case will be referred to the Service Director for consideration. You should note that providing evidence does not automatically mean that a place will be allocated under this priority. Exceptional welfare considerations ( such as children at risk) must be supported at the time of the application by a letter from a supporting agency (e.g. Social Worker, Family Support Worker, Education Welfare Officer) indicating how the circumstances relate to the academy preference. On receipt of such a letter and evidence the case will be referred to the Service Director for consideration. You should note that providing evidence does not automatically mean that a place will be allocated under this priority. Children with an older sibling attending the school at the time of admission. A sibling is defined as a brother or sister, step-brother or step-sister, and half- brother or half-sister. A sibling must be living at the same address and not be a cousin or other relative. You may only claim this priority if your child has a sibling of statutory school age who will be in attendance at the Academy in September 2018. In order to claim this priority the member of staff must be currently employed by the Academy or have accepted an offer of employment and the relevant employment checks have been completed satisfactorily. Note: Should the number of children falling into the first four categories above exceed the Published Admission Number, Category 6 will be used as a tie-breaker. In order to claim this priority the child must be on role in the Nursery at Deeplish. Note: Should the number of children falling into the first five categories above exceed the Published Admission Number, Category 6 will be used as a tie-breaker. Proximity and ease of Access – where you live. Once places have been allocated using criteria 1, 2, 3, and 4, any remaining places are allocated on the basis of proximity and ease of access to the academy. Distance will be determined by measuring the shortest, suitable walking distance to Deeplish. If after this it is still not possible to decide on who should be offered the place then any final place will be decided by the drawing of lots. It should be noted that in looking at ease of access bus routes are not used. Nationally, the suitable walking distance for primary age children up to 8 is up to 2 miles and for children over 8 it is up to 3 miles, with the assumption that the journey can be undertaken on foot, accompanied as necessary. Walking routes are deemed to be along; recognised, lit, paved routes which, in general, are overlooked by houses and as such are likely to be relatively safe to walk. Unlit, unmade-up shortcuts are not taken into account in calculating walking distances, even if they are public rights of way. Walking distances are measured using a computerised mapping system which measures the distance between the child’s home address and the Academy’s address. Where a single place remains at a school and the application being considered is for twins or children from multiple births or same year group siblings the Local Authority will allocate above the Published Admission Number to accommodate each child. All children are entitled to a full-time place in the September following their fourth birthday. Parents can defer the date their child is admitted to academy until later in the school year, but not beyond the point at which they reach compulsory school age, or for children born between 1st April and 31st August, not beyond the beginning of the final term of the school year for which the offer is made. Where parents wish, children may attend part-time until later in the school year, but not beyond the point at which they reach compulsory school age. In some special cases, parents can request that their child is placed outside their normal age group. Where parents of a child born between 1st April and 31st August choose not to send their child to school until September following their fifth birthday they may request that they are admitted out of their normal age group- that is to Reception rather than Year 1. The Local Authority will take decisions on any such requests on the circumstances of each case. This will include taking account of the parent’s views, information about the child’s academic, social and emotional development and whether they have previously been educated outside their normal age group. The Governing Body will take into account the views of the Principal. Families of UK service personnel are subject to frequent movement within the UK and from abroad, often at relatively short notice. A school place can be allocated in advance of the confirmed posting, even if there is uncertainty about the exact future address. Infant age children admitted outside the normal on round are excepted pupils under the infant class size regulations. For the children of armed forces families and crown servants returning to the UK or the Rochdale Metropolitan Borough at the end of their service, a school place can be allocated in advance of their return, even if there is uncertainty about the exact future address and the child is not yet in the UK. The place can be held open until the family arrive in the UK or return to the area, and usually until the start of the following term, but could be longer in particular circumstances. If your child was born between 1st September 2015 and 31st August 2016, you need to apply for a school place for him or her. For residents in the Rochdale Borough, all parents/carers should apply to Rochdale Local Authority, their home authority. Parents need to apply on-line as soon as possible from 1st September 2018. The closing date for applications is the 15th January 2019. After this date the allocation process will have commenced and any late requests will not be processed until the first offer of places has been made. Rochdale MBC will liaise with the Admissions Committee at Deeplish Primary Academy and children will be allocated places in accordance with the Academy’s Admissions Policy. Notification letters will be sent out from Rochdale MBC to parents on the 16th April 2019 via second class post. Online applicants will be sent an email on the same day. Once the offer of a place has been made, it will be necessary to provide a copy of your child’s short birth certificate in order to ensure that your child is of the correct age to start school in September 2019. You will also be advised if the Admissions Committee have been unable to offer your child a place at the school. If you are not allocated a place you have the right to appeal against the decision. Details of the appeals procedure will be included with the notification letter from the LA. If you require assistance with the applications process please contact the Academy and we will do our best to help. 3. Children with an older sibling attending the school at the time of admission. A sibling is defined as a brother or sister, step-brother or step-sister, and half- brother or half-sister. A sibling must be living at the same address and not be a cousin or other relative. You may only claim this priority if your child has a sibling of statutory school age who will be in attendance at the Academy in September 2020. 6. Proximity and ease of Access – where you live. If your child was born between 1st September 2016 and 31st August 2017, you need to apply for a school place for him or her. For residents in the Rochdale Borough, all parents/carers should apply to Rochdale Local Authority, their home authority. Parents need to apply on-line as soon as possible from 1st September 2019. The closing date for applications is the 15th January 2020. After this date the allocation process will have commenced and any late requests will not be processed until the first offer of places has been made. Rochdale MBC will liaise with the Admissions Committee at Deeplish Primary Academy and children will be allocated places in accordance with the Academy’s Admissions Policy. Notification letters will be sent out from Rochdale MBC to parents on the 16th April 2020 via second class post. Online applicants will be sent an email on the same day. Once the offer of a place has been made, it will be necessary to provide a copy of your child’s short birth certificate in order to ensure that your child is of the correct age to start school in September 2020.